Caribou, Maine – Pines Health Services announced today that Frenchville native, Dr. John Nadeau has joined the professional team of surgeons which includes Dr. Julio Arebalo, Dr. Rashmi Bawa, and Family Nurse Practitioners Lindsay Reynolds and Michelle Deprey. Caribou, ME — Dr. Dimas Yusuf, medical oncologist with the team at the Jefferson Cary Cancer Center has been certified as a specialist in medical oncology from the American Board of Internal Medicine (ABIM) and the Royal College of Physicians and Surgeons of Canada (RCPSC). Caribou, Maine – Community groups and social organizations often host food drives to fill local food pantry shelves this time of year. 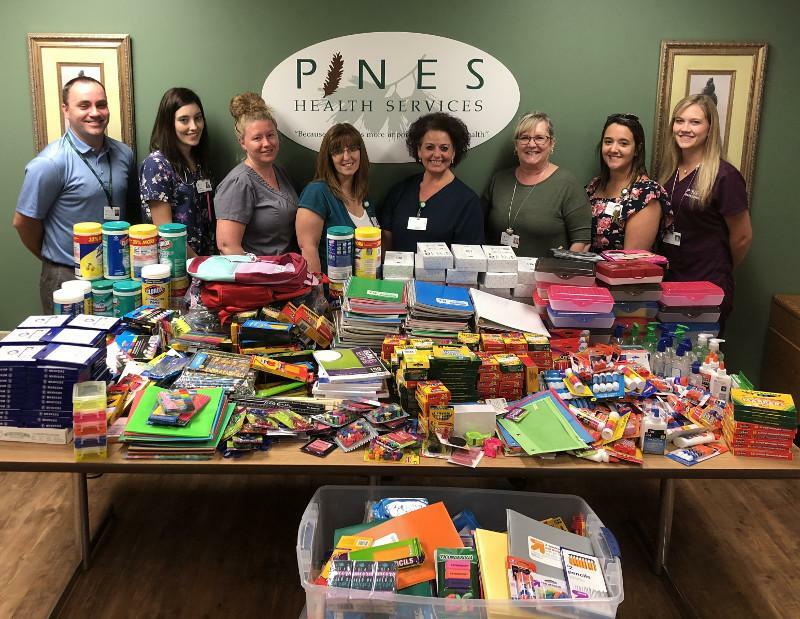 A kind gesture sparked interest from the students in Mrs. Holly Rhinebolt’s 8th grade class, who organized a food drive and delivered multiple boxes of non-perishable food items, which filled the Pines Health Services community food cupboard. The Subspecialty Certificate is for Board-Certified orthopaedic surgeons who have demonstrated qualifications in surgery of the hand beyond those expected of other orthopaedic surgeons by virtue of additional training, a practice characterized by a volume of cases in surgery of the hand, or have made significant contributions to this field. Dr. Bassett passed a rigorous written examination. Bar Harbor, ME – Oct. 24, 2018 – The Maine Primary Care Association (MPCA), a membership organization representing the collective voices of Maine’s Federally Qualified Health Centers (FQHCs), announced the winners of the 2018 Clinical and Administrative Excellence Awards which were presented at a ceremony during the organization’s annual conference in Bar Harbor. The Clinical and Administrative Excellence Awards were created in 2005 to honor the contributions and accomplishments of individuals and health center advocates working to ensure that affordable, high quality health care is available to all Mainers.